Hay Dobbs’ new address is: 2324 University Avenue W. Suite 200 Saint Paul, MN 55114 Phone/Email/Web remain the same. Hay Dobbs was recently selected by the University of Minnesota to design teaching and learning space on the St. Paul Campus. The project will be done for the College of Food, Sciences and Natural Resource Sciences (CFANS) https://www.cfans.umn.edu/about/about-college, specifically the Department of Agricultural Education. The project will be known as the CHS Teaching and Learning Labs as a result of the generous support for the project provided by CHS Inc. https://www.chsinc.com/. Hay Dobbs will work closely with the department and the greater university to design technologically-enhanced active learning classrooms and teaching labs focused on Ag. Ed. experiential learning. The project. Hay Dobbs was recently selected by the University of Minnesota out of a competitive field of 13 submissions to design research support space on the Twin Cities Campus. The project will be done for the Clinical and Translational Science Institute (CTSI) https://www.ctsi.umn.edu/. The CTSI exists to support and advance the University’s research mission, specifically in the areas of clinical and translational research. Hay Dobbs will work closely with CTSI and the greater university to design a new Support Center within the Phillips Wangensteen Building located in the heart of the Health Services District. The Support Center will maximize the efficiency. Construction is nearly complete on the Hay Dobbs-designed Campus Marker for the University of Minnesota Duluth. The veneer stone will arrive on site in late January and will then be installed to complete the Marker. Hay Dobbs completed the Campus Master Plan in 2013 and has helped to implement several projects including a new Pedestrian and Bicycle Entry and the first Campus Marker. The Campus Marker is located at the intersection of Woodland Avenue and College Street. It is designed with Cor-Ten Steel and Bluestone with a integral concrete wall, footing and foundation system. The lettering is comprised of translucent. Cellular manufacturing is a process of manufacturing which is a subsection of just-in-time manufacturing and lean manufacturing. The goal of cellular manufacturing is to move as quickly as possible, and to make a wide variety of similar products, while making as little waste as possible. Students learn best by doing, especially if they learn in environments similar to those found in industry. 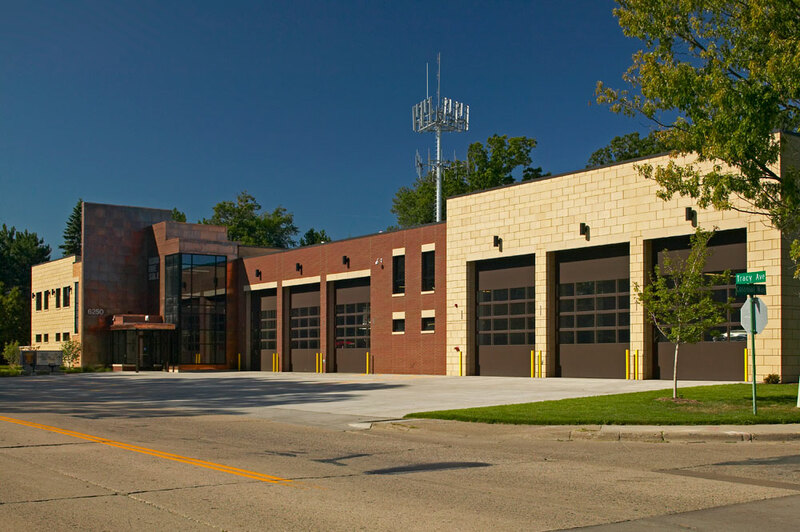 Anoka Technical College (ATC) engaged the team of Hay Dobbs Architects and Stanley Consultants to renovate existing space to create a technical training facility that emulates a real-world manufacturing environment. A modern and contemporary environment was designed by. Hay Dobbs is pleased to announce that Minnesota Valley Transit Authority (MVTA) has awarded a Master Consulting Contract to Hay Dobbs to provide ongoing consulting services. The contract was signed at MVTA’s August Board meeting. The Minnesota Valley Transit Authority (MVTA) is the public transportation agency for seven suburbs located approximately 15 miles south of Minneapolis and St. Paul. The MVTA is one of four independent transportation agencies formed in the late 1980’s under state legislation that allowed outer-ring suburbs to “opt-out” of centrally provided transit services. Hay Dobbs wins another design award!! As both Architects of Record and Design Architects, Hay Dobbs is pleased to announce that our newly opened, Chanhassen Station Park and Ride has been awarded honors by the MCC. Chanhassen Station expands the existing SouthWest Transit commuter bus stop in downtown Chanhassen and extends Market Street through historic downtown Chanhassen, connecting two significant areas of commerce. This sensitive addition to the city builds community and a sense of place with sustainable transit infrastructure. 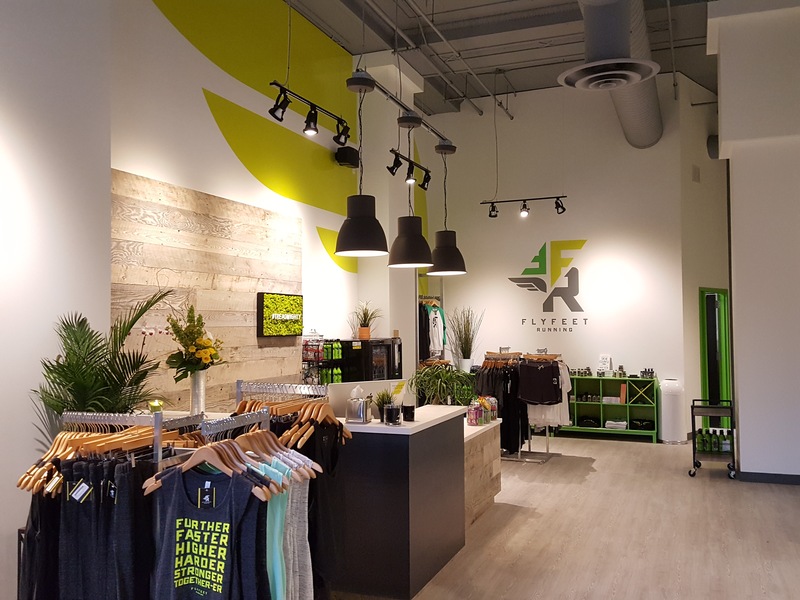 This four-level transit facility, located immediately adjacent to the world renowned Chanhassen Dinner Theater, provides over 420 parking spaces for commuters and is accompanied by interior. Hay Dobbs has been selected by the University of Minnesota Duluth to update the Campus Master Plan. The project will seek to sustainably accommodate growth in student enrollment while supporting the University Strategic Plan, revealing a sense of place and delivering long term value to the University. As a result of rapidly increasing enrollment, South Dakota School of Mines and Technology (SDSMT) has engaged Hay Dobbs to complete a Housing Master Plan for the campus. The Master Plan will develop strategies for, and guide development of, new university campus housing. The project will be delivered on a rapid schedule to accelerate the design, construction and occupation of campus residential facilities. SDSMT, located in Rapid City, South Dakota, prepares undergraduate and graduate students for successful careers as scientists, engineers, and leaders. The School of Mines is also a regional powerhouse of award-winning research and development studies, attracting nearly. 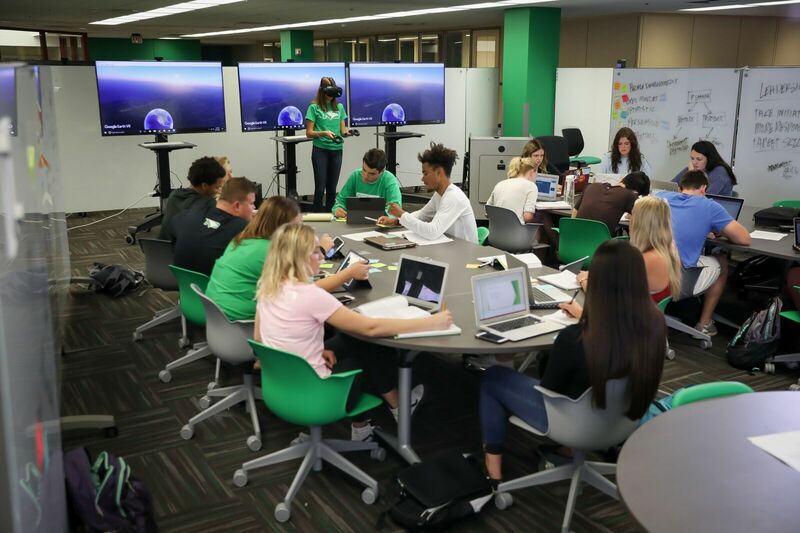 The University of North Dakota has engaged Hay Dobbs to develop a framework for change and improvement to learning spaces that allows for organized implementation, stewardship of facilities, development of learner centered environments and flexibility to adapt to the ever changing academic landscape. The project will be completed by July 2013. Hay Dobbs is now Certified by the South Dakota Board of Technical Professions to offer professional services as a business in South Dakota. Firm Principal Thomas Dobbs is also now licensed to practice architecture in South Dakota. Thomas is also NCARB and LEED-AP Certified and holds licenses in Minnesota, North Dakota and Arizona. 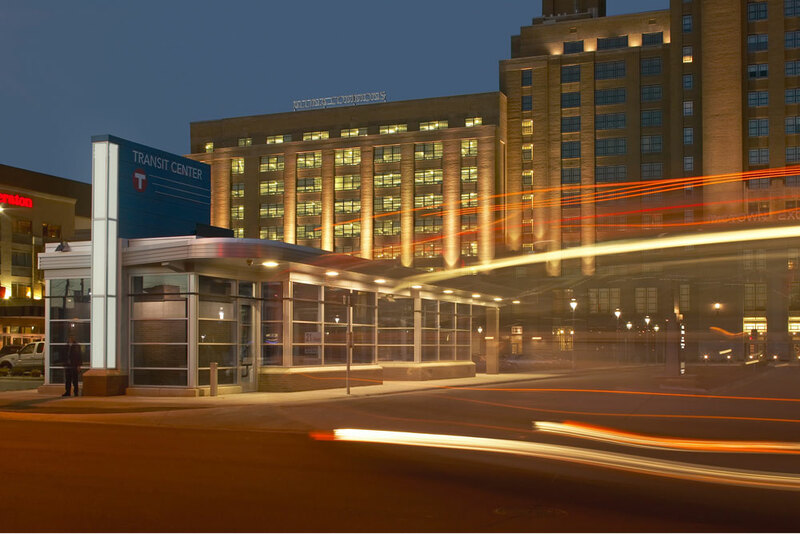 Hay Dobbs has been retained by Metro Transit to undertake the development of station designs for the Orange Line Bus Rapid Transit Route. METRO Orange Line BRT will benefit existing riders and attract new riders by improving transit access, service, and reliability on the I-35W corridor. Additionally, an identifiable, high-amenity brand will increase the visibility of transit and leverage service improvements to attract new riders to the system. All-day, frequent BRT service will complement local and express bus routes along I-35W, providing competitive running times for station-to-station trips and a new option for reverse -commute markets. Both BRT and express-service. Northand Community and Technical College and Minnesota State Community and Technical College (M State) have both selected Hay Dobbs to undertake their respective campus master plan updates. Hay Dobbs will begin work with both colleges in October 2013, with a completion date of mid 2014. Northland CTC and M State are both members of the Minnesota State Colleges and Universities Minnesota State Community and Technical College, has four campuses: Detroit Lakes, Fergus Falls, Moorhead and Wadena and an online eCampus program. Northland Community and Technical, with campuses in East Grand Forks, and Thief River Falls, is a comprehensive college, offering. 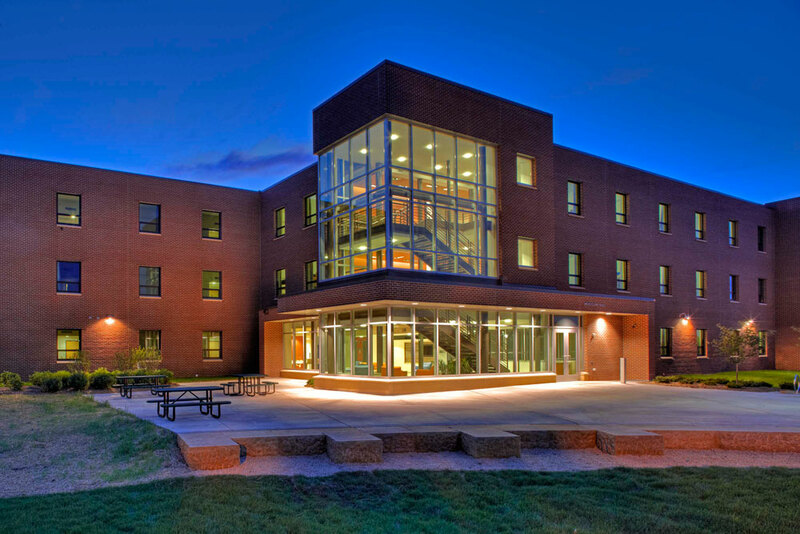 Hay Dobbs designed Project wins Minnesota Construction Association (MCA) “Project Excellence Award” for the Minnesota West Community and Technical College – Worthington, Health and Wellness Center renovation and expansion; constructed by Terra General Contractors. The team will be awarded at the 2104 MCA Awards of Excellence Gala on January 29, 2014. Hay Dobbs, a recognized leader in Transit Oriented Development planning and design, has been retained to work with fwd |A+U, NY, to provide consulting, planning and design services for the Mellon’s Orchard Strategic Plan. The plan will provide a TOD framework for redevelopment of key parcels in the East Liberty neighborhood of Pittsburgh, Pennsylvania. Located near the East Libery Station of the Martin Luther King, Jr. Busway, Mellon’s Orchard is a key development site in the East Liberty neighborhood of Pittsburgh. As one of the last remaining super-blocks in the district, Hay Dobbs will help to define how Mellon’s Orchard.